Nutter attorneys advise a broad spectrum of clients along the many milestones in a company’s life cycle, including entity formation, commercial expansion, succession planning and strategic combinations or buyouts. Our diverse client base ranges from emerging companies to family-owned and other privately-held companies to major publicly-held corporations. Many of the region’s leading antitrust cases have been litigated by our experienced team of attorneys. From the landmark antitrust conspiracy cases for the film distributors to recent cases involving claims of exclusive dealing, dealer termination, multi-defendant conspiracy, and monopolization, our proven track record continues to deliver positive outcomes for our clients. Nutter’s experienced securities attorneys, both corporate attorneys and litigators, regularly counsel private, pre-IPO, and publicly-held clients on securities laws in a broad range of industries from biotech to real estate. We have a proven track record in guiding companies through the complicated process of going public, along with advising public companies as they navigate the complex array of securities laws. We also routinely advise private companies on the securities laws that are applicable to them. Our commercial and real estate finance team has been chosen by lenders, equipment lessors and borrowers to handle thousands of transactions involving collateral in 46 states and abroad. This accounts for financings worth more than $11 billion in the last decade. 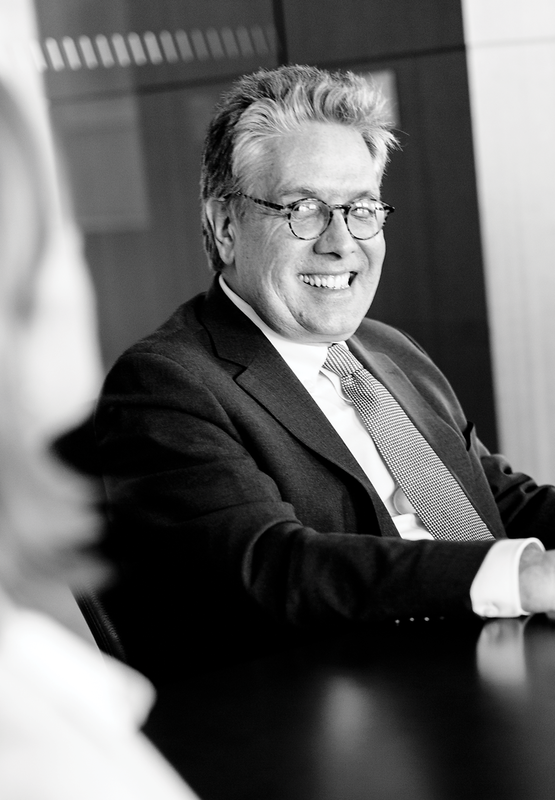 With a deep understanding of the inherent risks for emerging companies, Nutter’s seasoned attorneys brings clients the highest level of confidence as they provide strategic legal counsel, contacts and expertise that lead to success. Our business and intellectual property lawyers are experienced on all sides of the complex issues that emerging companies are likely to encounter. Nutter has more than 40 years of experience in employee benefits law, forming a deep base of knowledge and expertise in all employment matters. Our attorneys help design and implement benefit programs efficiently and cost-effectively for a broad spectrum of clients in the operation of tax-qualified, non-qualified retirement, health and welfare plans, fringe benefits, and deferred compensation plans for employees and executives. A wide spectrum of clients has counted on our proven and broad expertise in executive compensation to design and implement compensation and benefit programs efficiently and cost-effectively. We work with both publicly and privately held companies, tax-exempt organizations, and start-ups in a wide range of industries. We work closely with various types of pooled investment vehicles including alternative investment funds, , and their respective investment managers. Consistent with Nutter’s philosophy, the experience of our multi‐disciplinary team gives us the agility and capabilities to meet a fund’s needs thoroughly and efficiently. We have significant and notable experience representing domestic and international corporations, publicly-traded and privately-held companies, private equity firms, non-profit institutions and family owned businesses in a wide variety of domestic and cross-border mergers and acquisitions. We provide legal counsel to clients on corporate governance; tax analysis, structuring, and reporting; fundraising; program and mission related investing, advocacy; domestic and international grant making; and planned giving. In addition, we provide insight and guidance related to the wide array of nonprofit and for-profit vehicles available for mission-driven businesses and individuals. Our attorneys have an exceptional track record in a broad array of privacy and data security matters, ranging from compliance with HIPAA, GDPR, and banking regulations, to preparation for and responses to data breaches. With sophisticated capabilities spanning the full spectrum of private equity, venture capital, and corporate work, our broad industry-based legal experience guides clients through all stages of the private equity life cycle, from fundraising to exit. We work closely with private equity sponsors seeking to optimize their next investment, in addition to middle market companies exploring outside capital for growth or succession planning. Tax attorneys at Nutter provide a full range of income tax, estate tax, employee benefits, and tax dispute services to a broad array of domestic and multi-national corporations, partnerships, limited liability companies, tax-exempt organizations, and individuals. Our attorneys understand the culture of venture capital, and leverage their deep expertise to provide valuable insights to our clients on legal issues that affect them and the companies in which they invest. We stay abreast of emerging trends in the industries of our clients' companies, as well as legal and regulatory matters that affect investment evaluations and market terms. Nutter advised Dribbble, a social media community of artisan designers on the Internet, when it was acquired by Tiny Capital, a private equity firm. Nutter served as the fund and investment manager counsel. Nutter served as counsel on the launch of several long-short hedge funds. Nutter served as counsel to a hedge fund manager on the launch of several new private equity funds. Nutter provided counsel on the reorganization of the management and ownership structure at an investment management firm. Nutter advised a family-owned consumer packaged goods company in its acquisition by a family-owned strategic buyer. Nutter represented N2 Biomedical LLC, a provider of an advanced medical device surface treatment process, in its acquisition of Spire's biomedical business. Nutter advised a family-owned distributor on a roll-up strategy and numerous acquisitions in the same vertical space throughout the Northeast. Nutter represented a leading automotive dealership in the acquisition of 14 dealerships and related real estate throughout New England. Nutter represented an investment banking firm as the selling agent in a $278 million initial public offering by a community bank headquartered in Massachusetts. Nutter represented an insurance holding company in a $300 million public offering of senior debt. Nutter represented an investment bank in a $60 million underwritten public offering by a New England-based, NASDAQ-listed banking company. Nutter represented an insurance company in a $125 million initial public offering. Nutter represented an investment bank in the $38 million private placement of equity interests in a bank holding company organized as an LLC. Nutter represented a bank holding company in a $20 million initial public offering. Nutter represented a bank holding company in the $80 million private placement of common and preferred stock and a trust originated by subordinated capital income securities to fund an acquisition. Nutter represented a utility company based in New Hampshire in a $19 million public offering of common stock. Nutter represented a New Hampshire-based utility company in a $49 million public offering of tax-exempt bonds. Nutter represented a privately-held international manufacturing company in the strategic acquisitions of several complementary, worldwide businesses. We provided the resolution of issues related to significant IP assets, which included earn out payments over time. Nutter represented a top-rated health plan in the acquisition of a Medicaid provider of health insurance in a transaction valued at $130 million and included earn-outs. Nutter advised a real estate promoter in the formation of a real estate fund for investment in properties in the Northeast. Nutter represented a manufacturing company in a $30 million leveraged self-tender. Nutter advised a family-owned consulting business on intergenerational business success planning. Nutter advised an American technology company on an international joint venture with a French manufacturer. Nutter advised on the MBO of an investment management company. Nutter acted as special counsel to the Board of Governors of a major nonprofit hospital system in connection with the sale of the system to a for-profit entity. We were independent counsel to the Board with respect to fiduciary duties and processes in evaluating and approving the proposed transaction. Nutter also provided advice with regard to officers and directors liability insurance. Nutter advised a NASDAQ-listed company on simultaneous acquisitions of two businesses from its majority stockholder and that client’s subsequent acquisition of a company valued at approximately $260 million. The combined value was $1.6 billion. Nutter represented a financial services technology company in its strategic acquisition of a UK-based company. Nutter represented a closely-held real estate investment firm in a strategic partnership with a leading national real estate development and investment firm. Nutter represented a mutual savings bank in Massachusetts in its acquisition of a national bank. The transaction was valued at approximately $28 million. Nutter represented a community bank headquartered in Massachusetts in its acquisition of a network of branches on Nantucket. Nutter represented a NASDAQ-listed community bank based in eastern Massachusetts in its $96 million acquisition by one of the largest banks headquartered in New England. Nutter advised one of the largest community banks in Massachusetts in the $163 million acquisition of a publicly traded bank based in Boston. We also represented the client in the $170 million acquisition of a publicly traded bank in eastern Massachusetts. Nutter represented a Massachusetts-based publicly traded mutual holding company in its acquisition by a mutual savings bank headquartered in Massachusetts. Nutter represented a large community bank in Massachusetts in the acquisition of a publicly traded bank in southeastern Massachusetts for a combination of stock and cash. The transaction was valued at $105 million. 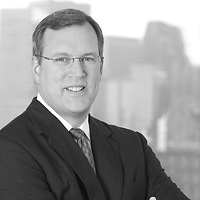 Nutter represented a NASDAQ-listed bank holding company in the $180 million acquisition by a publicly-traded regional banking company. Nutter represented a California-based bank holding company in the acquisitions of five banks. The combined value of transactions was approximately $150 million. Nutter represented a NASDAQ-listed utility company headquartered in New Hampshire in its acquisition by a New Hampshire municipality. Nutter represented an NYSE-listed insurance holding company in the $80 million acquisition of a multistate insurance company and its related joint venture with a strategic partner. Nutter served as counsel to numerous small and microcap companies on the complex issues facing the smaller public issuers. Nutter advised numerous committees of independent directors in internal corporate investigations. Nutter advised a top-rated health plan on a joint venture to form a de novo health insurance company in a new jurisdiction. Nutter advised a toner cartridge manufacturer on governance issues and served as ongoing counsel. We also advised the client on its sale to an industry competitor. Nutter advised a dental health insurer on corporate governance issues and the restructuring of a corporate structure. Nutter served as general counsel to a chemical manufacturing/household products company. Nutter advised a boutique real estate investment fund on the formation of joint ventures. Nutter acted as general counsel to a precision instrument manufacturer. Nutter served as general counsel to an event and thought leadership consulting company in the payment industry. Nutter represented a Canadian biotechnology company that develops and commercializes innovative ocular products in the sale of the company’s punctal plug drug delivery system technology. We also advised on the sale of company's Visudyne® business to a pharmaceutical company in a transaction valued at $112.5 million, plus additional contingent payments. Nutter represented a privately-held broadline distribution company in the $130 million sale of the company to a strategic buyer in a cash transaction. Nutter represented a publicly-traded bank in the $160 million acquisition by a publicly-traded strategic buyer in a cash transaction. Nutter advised a private equity company in the $210 million sale of a portfolio company in the telecommunications industry to a privately-held financial purchaser in a cash transaction. Nutter also negotiated the post-closing escrow dispute. Nutter represented a domestic combustion systems manufacturer in an acquisition by a foreign strategic buyer in a cash transaction. The deal was valued at $120 million and included an earn out. Nutter represented a software integration company in its acquisition by a publicly-traded buyer. Nutter represented a manufacturing division of a private-equity backed company in the $75 million stock and asset sale to a publicly-traded foreign buyer involving stock and assets over four continents and seven countries. Nutter represented a publicly-traded company in the acquisition of a privately-held software company in a transaction valued at $350 million in common stock. Nutter represented a NASDAQ-listed publicly traded community bank headquartered in western Massachusetts in a merger with another publicly traded bank also headquartered in western Massachusetts in a transaction valued at $108 million. Nutter represented a NYSE-listed insurance holding company in its $2.2 billion acquisition by a holding company headquartered in Europe. Nutter represented a publicly-traded specialty chemical company in the $300 million acquisition of another chemical company. Nutter represented a specialty publishing company in its acquisition by a strategic buyer. The transaction was valued at $67 million, including $32 million cash with $35 million complex earn-out.